There are millions of Americans who are going through each day while missing one or more teeth. While there are many reasons someone can lose a tooth, including injury, cancer, gum disease and more, those who are going without should really think twice if they are not planning on getting their tooth replaced. Not replacing a missing tooth can have serious consequences not only on your oral health but on your health in general. Continue reading below to learn more about the long and short term risks that come with deciding not to have a tooth replaced. If you have a missing tooth, more of the biggest dangers you face by not replacing it is general bone loss. Also known as bone resorption, bone loss will happen when the natural roots of the tooth are no longer attached to the jaw bone. Given enough time, this portion of the jaw will begin to deteriorate. It doesn’t just end there, however. 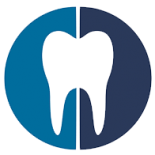 Bone resorption will absolutely affect the teeth around your missing tooth as well. So much so that you stand losing those teeth too. Over time this bone loss can even lead to your facial shape changing. You may see that all of a sudden your lips appear asymmetrical or sunken in. Yikes! Additionally, gum disease is often a very common side effect of not having a missing tooth replaced. Depending on which tooth or teeth are missing, you may find that you are unable to pronounce certain words like you used to be able to. Suddenly you may have a lisp or a general change to the way you speak, making you feel self conscious every time you try to talk to someone. Without certain teeth, it is not unlikely that you will find yourself unable to eat certain foods. This could lead to you getting poor nutrition and developing poor health overall. Love biting into a delicious and juicy steak? That probably won’t be happening anytime soon should you refuse to have a missing tooth replaced. The most immediate impact you will find that comes with missing a tooth is a severe change in your confidence. One missing tooth ruins your entire smile and therefore, you probably won’t feel quite yourself. You may even find that you are keeping yourself from smiling or showing your teeth at all. This can have a major impact on your life as a whole as you will begin to notice that you are acting differently at work, in social situations and elsewhere. If you are missing a tooth and you don’t want to suffer the consequences listed above, it’s time for you to call your Woodbury dentist. At our dental office, we have a talented team of passionate professionals who can give you plenty of options when it comes to getting your missing tooth replaced. Give us a call today and schedule an appointment so that we can get your smile back to normal sooner rather than later.